BOZEMAN, Mont. (AP) — Michael Dison made a layup at the buzzer to give Montana State a 68-66 win Saturday night over Northern Arizona. Flavien Davis scored 17 of his 19 points in the second half while shooting 8 for 12 for Montana State (7-6, 2-0 Big Sky), which has won five of its last six. Northern Arizona’s Kris Yanku made two free throws and then a 3-pointer to tie the game at 64 with 1:55 remaining. Davis then missed a layup and grabbed the rebound only to miss his put-back attempt. Yanku stole Paul Egwuonwu’s rebound and passed to Quinton Upshur, whose layup gave the Lumberjacks a 66-64 lead with 50 seconds to play. Davis answered with a jumper to tie the game at 66 with 32 seconds left. Following timeouts from both teams, Yanku’s turnover led to Dison’s game-winning layup. 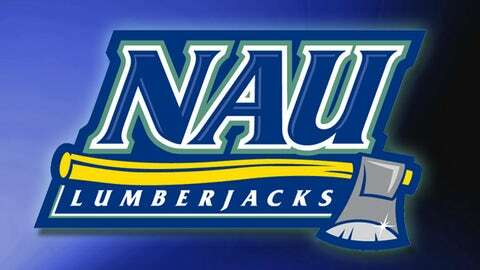 Aaseem Dixon scored 18 points and Gaellan Bewernick added 15 to lead NAU (4-9, 1-1). "The guys fought hard tonight. We didn’t do our job defensively in the second half," said Lumberjacks coach Jack Murphy. "We didn’t win tonight, but that doesn’t come down to one play. It was an accumulation of plays. We were able to split this trip and we outscored our opponents by six points this week. We have to work on a few things and keep moving forward from here." Despite shooting 37 percent from the floor in the first half, NAU trailed only 30-26 at the half. The second half got started with a 3-pointer from Dixon, which led to an 8-0 run for the Lumberjacks and a 34-30 lead. The Bobcats refused to go down, though, and Eric Norman’s 3-pointer with 12:39 left gave Montana State a 45-43 edge. That advantage was extended to 57-51 before the teams traded baskets down the stretch.